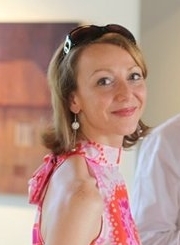 I am Vanessa, a French interior designer living in Southern Finland. This blog is about interiors, style, design, and anything that inspire me, colors, textures, shapes, or even food! This is the place for me to share things that catch my eye on the internet and wherever I go. For Interieur Oy is the name of my interior design company, founded in 2009. I moved to Finland in December 2000, following my Finnish husband, and made first a career in digital marketing. In 2005 we moved to vibrant Singapore, where I studied interior design, my long time passion. Back in Finland I pursued my studies and eventually founded my company. I enjoy designing both residential and commercial spaces. I work mainly in Finland, although I occasionally do interior projects in France. Considering interior design help? This is how I work and a project example. Your blog is really well done. I hope one day I could benefit from your expertise.